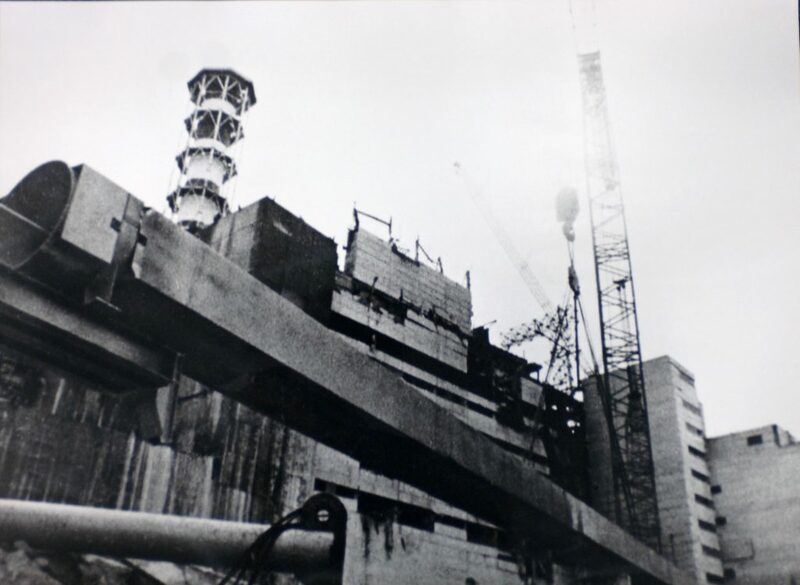 It took two days before the government of the Soviet Union admitted that something had happened to their nuclear power facilities at Chernobyl. They might never have admitted anything, if Scandinavian scientists hadn’t begun to detect increased levels of radiation in the air on Monday morning, April 28, 1986. The fire burned for several days, and radioactive steam, ash and dust continued to fall over an extended area. Chernobyl is in present-day Ukraine, close to the border with Belarus. Although the area was somewhat remote, a few nearby towns had developed to serve the nuclear power facilities built there. A little more than 100,000 people were forced to evacuate the region, resettled elsewhere by the Soviet government. An area of 1600 square miles, called the Chernobyl Exclusion Zone (CEZ), was emptied of people—and remains virtually empty to this day. Most of the evacuated people were fortunate, but others not so. Two workers in the plant were killed in the explosion. A total of 134 people developed radiation poisoning, and 28 of those died a few weeks after the explosion. About 20,000 cases of thyroid cancer have been diagnosed among adults who were children in the area at the time of the explosion. Because thyroid cancer is fairly easy to recognize and treat, only 15 deaths have occurred. The Chernobyl explosion is, without doubt, among the modern era’s worst human disasters. But there appears to be a silver lining to the radioactive cloud Chernobyl produced. The CEZ created an accidental protected area for wildlife that exceeds the size of almost all European parks and reserves. The area that previously held farms, towns and other artifacts of human use is now, in essence, a wilderness area. Although structures still exist, the habitat is devoid of humans. And nature loves it! Researchers monitoring wildlife populations have seen large increases in population sizes and the return of many species that were rare before the accident. Ukrainian wildlife researcher Sergey Gaschak said, “We have all large mammals: red deer, roe deer, wild boar, moose, horse, bison, brown bear, lynx, wolves, two species of hare, beaver, otter, badger, some martins, some mink, and polecats.” Predatory birds have also made major comebacks. Grazing animals have reached densities similar to those in other wildlife preserves, and wolf densities are seven times higher than in other locations. The return of growing populations of top predators is particularly noteworthy, because this indicates the health of the entire food chains leading to them. Radiation does not appear to be building up in the CEZ populations or bio-accumulating up the food chains. On particularly interesting experiment is the reintroduction of the endangered Przewalski’s horse. This is the only un-domesticated species of horse in existence, and until a few years ago existed only in captivity. Recently, individuals have begun to be released into suitable habitat, including the CEZ in 1998. Like other species there, this small population appears to be thriving. The conclusion, overall, must be that human influences on wildlife are much more serious than exposure to radiation, at least at the levels in the CEZ. Humans and wildlife compete for habitat—if we get out of the way, the wildlife will come back. Despite what many people say, nature is not fragile—it is strong and resilient, as long as we give it a chance. And here’s another hopeful outcome: In 2018, a new solar array was constructed at the site of the nuclear accident! Deryabina, T. G. et al. 2015. Long-term census data reveal abundant wildlife populations at Chernobyl. Current Biology 25(19):PR824-PR826. Available at: https://www.cell.com/current-biology/fulltext/S0960-9822(15)00988-4. Accessed April 10, 2019. Kaplan, Sarah and Nick Kirkpatrick. 2015. In the eerie emptiness of Chernobyl’s abandoned towns, wildlife is flourishing. The Washington Post, October 6, 2015. 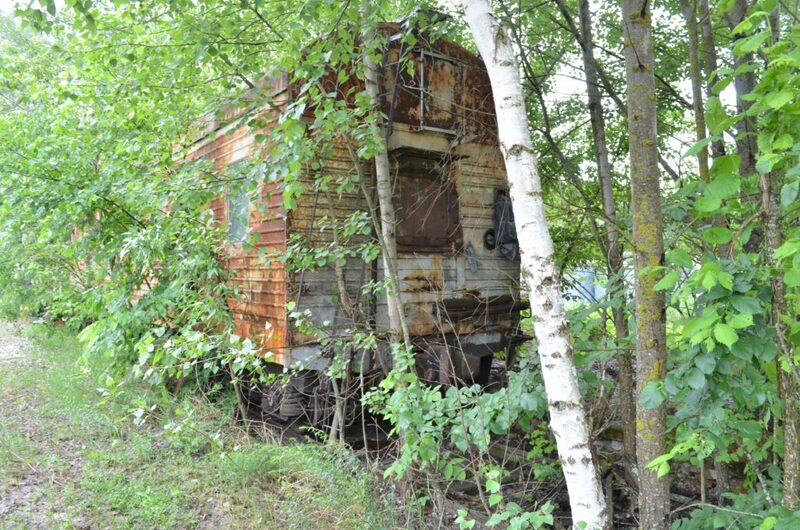 Available at: https://www.washingtonpost.com/news/morning-mix/wp/2015/10/06/in-the-eerie-emptiness-of-chernobyls-abandoned-towns-wildlife-is-flourishing/?utm_term=.dc79645be390. Accessed April 10, 2019. The Chernobyl Gallery. Timeline. Available at: http://www.chernobylgallery.com/chernobyl-disaster/timeline/. Accessed April 10, 2019. Wendle, John. 2016. Animals Rule Chernobyl Three Decades After Nuclear Disaster. National Geographic, April 18, 2016. Available at: https://news.nationalgeographic.com/2016/04/060418-chernobyl-wildlife-thirty-year-anniversary-science/. Accessed April 10, 2019. World Nuclear Association. 2018. Chernobyl Accident 1986. Available at: http://www.world-nuclear.org/information-library/safety-and-security/safety-of-plants/chernobyl-accident.aspx. Accessed April 10, 2019.